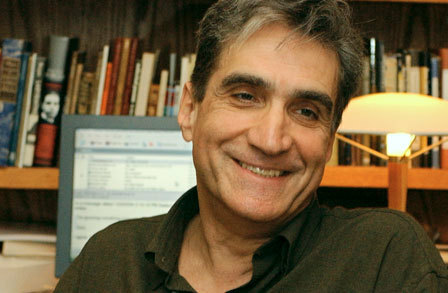 Robert Pinsky will be reading at 2pm in Frederick, Maryland, on Super Bowl Sunday. It’s happening again, but don’t worry… you’ll be home in time for the Super Bowl. In their annual Super Bowl Sunday event, Frederick Reads, the Weinberg Center for the Arts, and the C. Burr Artz Trust will host a free public reading and book signing by American poet, essayist, literary critic and translator Robert Pinsky. The 2013 theme is “Food,” and Pinsky is enthusiastically preparing a special feast of his favorite poems related to food and beverage, both his own work and that of other poets. Is there a better way to get hungry for the game? Details on the reading can be found here. The event usually contains a question and answer period, we can ask him which team he is rooting for. Now what would you expect a poet’s choice to be? But first, the Howard County Tourism office will host a free Little Patuxent Review reading Saturday afternoon from 2-4. With their latest Doubt-themed issue hot off the presses and in readers’ hands, editors, members and contributors will read from their works and host an audience talk-back about music and the ways it influences our lives in preparation for the release of the Summer 2013 music-themes issue during the Columbia Festival of the Arts. The reading will feature Michael Salcman, Susan Thornton Hobby, Anne Bracken, Prudence Barry, Patricia Van Amburg, Emily Rich, Lisa Biggar, Kim Jensen, and a special musical guest. Co-hosts will be Linda Joy Burke and Laura Shovan. The following Friday, the Artists’ Gallery located in the American City Building in downtown Columbia will launch their popular “Poets and Painters” show with a reading and reception. The reception is from 6-8pm on February 8. The show, featuring the collaborations of poets and painters, will be up from the 1st of February through March 29th. Do drop in. By hocopolitso in HoCoPoLitSo Reccomends on January 30, 2013 .